What are birds? How many different species of birds are in the world? What are bird habitats? How many species of birds can be found in Africa? What is the meaning behind the color of birds? These and more questions will be answered with the help of this book. The birds in Africa come in all shapes and sizes. There are birds that are bigger than a person and birds that are no bigger than a few inches. 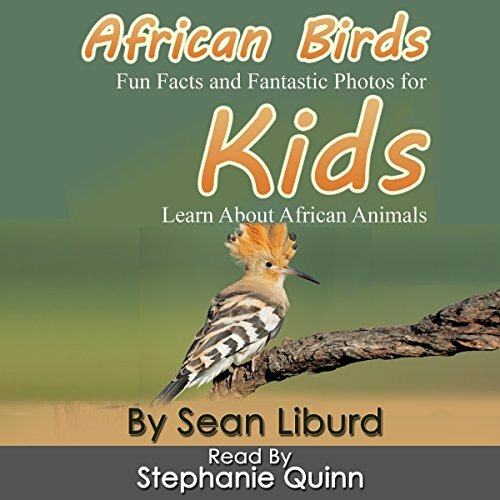 With African Birds: Fun Facts and Fantastic Photos for Kids! Learn About African Animals, kids will surely have fun learning about these beautiful birds and will be taught to appreciate them a lot more. The book is also filled with fun, weird, and little-known facts about African birds and birds in general. Plus, kids will also enjoy seeing full-color photos of African Birds doing different things. This way, it will be easier for them to understand the life of birds!